Today's topic is slightly difficult, because "underrated" is a slightly subjective word. What I might think is underrated, you may not. It just depends. So for this I picked some books off my shelves that I wish more people would read, aren't talked about nearly enough, and that I think may be somewhat underrated. 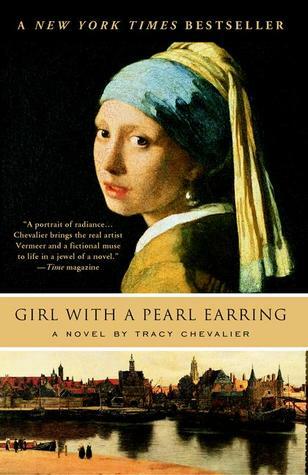 I restrained from putting some books on here--like Code Name Verity (which I really, really wanted to put on here)--because they seemed not-underrated, but did put down some other seemingly popuarlish books because I wasn't sure they weren't not-underrated enough. In the end, this is the list I came up with. Oh, and I mainly focused on contemporary-ish, modern-day setting, standalone novels. Without further adieu: (more than) ten underrated books residing on my shelves that you really must read. Here's what I tell everyone: This will book will rip out your heart and throw it on the ground and shatter it to pieces while simultaneously keeping it beat beat beating in place. I'm a sucker for books with animals in them, especially excotic ones. Schrefer's Great Ape quarter (only two books so far) does that so well. 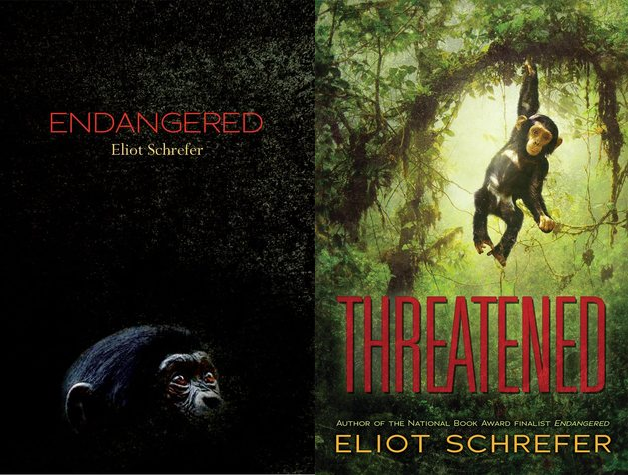 Endangered features a bonobo traveling through a war-ridden Congo with a teenage girl, while Threatened takes to the wild jungle with a youngish boy who's basically living with chimpanzees. This book is so good and you should just read it. Don't let the whole "teen mom" thing drive you away--it's much more than that. 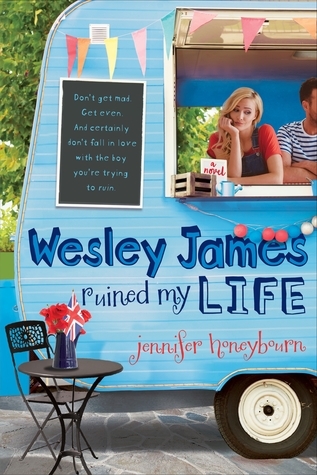 And that cover totally makes me want to drool. If I wouldn't have had an ARC of this I don't know if I would have read this. So thank gosh I did have an ARC, because this book is so gosh darn good. It's a gritty contemporary, and if you're a sticky note user or eBook reader, prepare to mark down a whole lot of quotes. Okay, so this actually really goes for all of Lisa Schroeder's books. And while I haven't read her last two YA novels yet (oops! ), I have read her others. 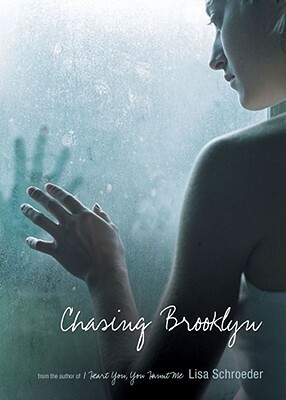 Chasing Brooklyn is probably my favorite, and the verse is lovely and her books are so good so you should read them. I love supporting local authors and Holly Cupala is one of my favorites. Her two novels are grittier contemporaries that are oh so good. 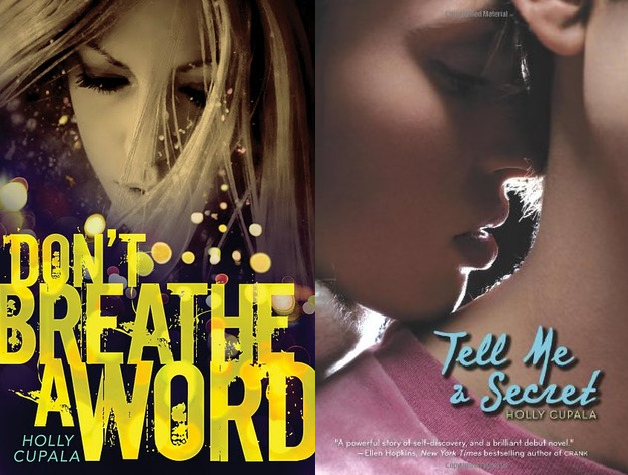 Don't Breathe a Word has to do with a runaway teen, abusive relationship, and homeless youth, while Tell Me a Secret is geared more toward loss and teen pregnancy. Stolen: A Letter to My Captor may not exactly be underrated. But I feel like more people should be talking about and reading this. It's told in second person POV but it's done well and my gosh just read it, okay (bonus: a movie is happening)? I'm sure you've heard of Laurie Halse Anderson, but I fee like this book kind of slipped under the radar for people--it almost did for me. I read this because I had an ARC, people said it was really good, and Laurie was coming to town. I almost didn't because darker and more serious novels aren't really my thing. But people were right: this is really good. The writing is spectacular and the characters and just--again, read this! This is another book I almost didn't read, and once again, thank gosh I did! 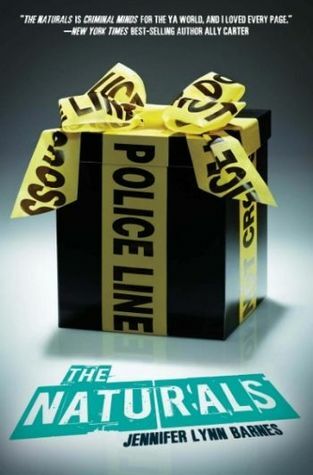 I thoroughly enjoyed this book, which focuses on a family in the Witness Protection Program. This book just keeps you going and you're so engrossed in it--and I was up super late reading it. This book is exactly what it's described as: a YA Criminal Minds. And it is so freaking good. And practically flawless. I picked this up for a book project my sophomore year of high school and loved. Seriously. I need people to read this so we can talk about it! What books and author do you think you are underrated? Awesome list! I will definitely have to check some of these out! 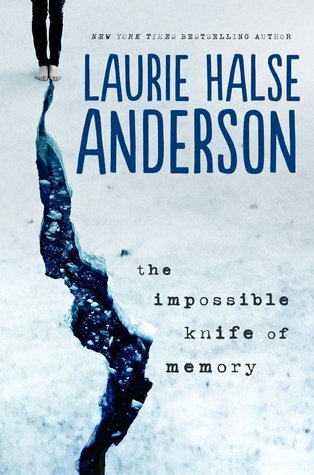 The Impossible Knife of Memory definitely made it to my list as well! I really thought this book was gonna be big, but not many people have read it, which really surprised me. A shame too because its sooooo good! 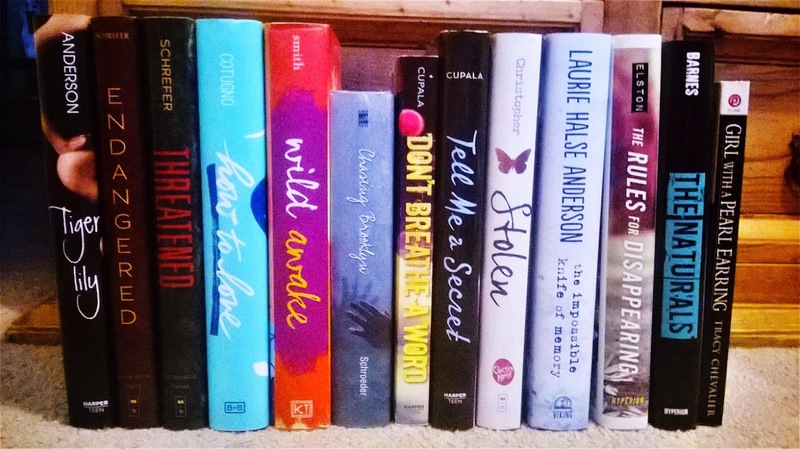 Lots of books from this list are on my TBR! I've had my eye on Stolen for a while, but I don't really hear much about it both in the blogosphere and out of it. 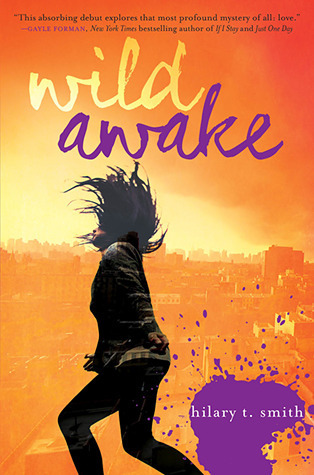 I need to read Tiger Lily soon, as well as Laurie Halse Anderson's new book. The Naturals sounds great! Amazing list! 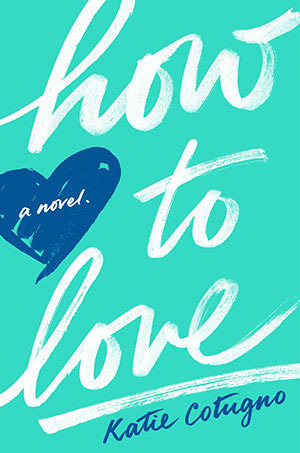 I'm really looking forward to reading How To Love. Some of my favourite bloggers really enjoy it. 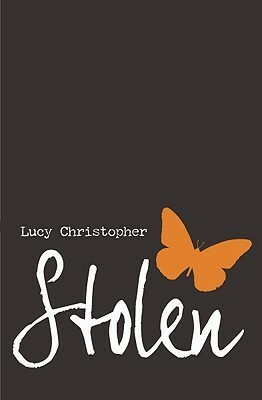 I have a copy of Stolen and really need to read it! Tiger Lily! You explain it perfectly, it still hurts me a little when I think about it and I haven't read it in a long time! I also love Endangered and The Naturals. I did NOT know they were making a movie of Stolen! WOAH! I live in Australia, so that's awesome. 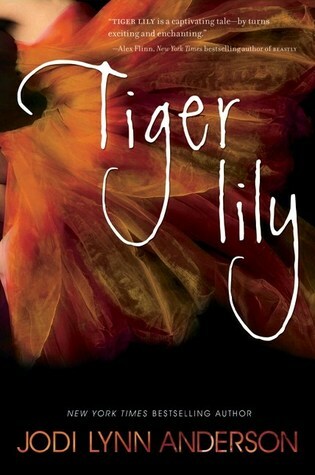 :-) I really loved Tiger Lily and I definitely don't see enough people reading it. It was sooo beautifully writtten! Here's my TTT! 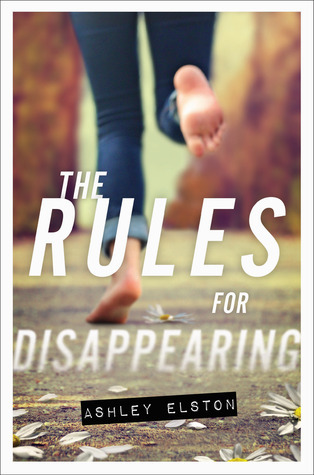 The Rules For Disappearing seems like a fantastic book. I'm surprised I haven't heard of it! Thank you. I have to read ALL of these books! Especially The Naturals. So many people have recommended it to me, many have been other authors who've recommended it and said it was so good they wished they had written it. I love this list and will definitely check out these books! I added so many of these are my Goodreads TBR list. I'm a new follower, but I'm very glad to have found your blog! Awesome list! I have to go update my TBR now!! Just added a bunch of these to my TBR list! Not that I NEEDED any more on there!